© 2018 Chopin Imports Ltd. All rights reserved. Combine all ingredients except the sparkling water in a shaker. Shake well and strain into a tall glass. Add ice and top with sparkling water. Warm the milk over medium heat and add the chopped chocolate, stirring constantly until melted. When smooth, whisk in the remaining milk and cream. Add a pinch of cinnamon and salt and heat until hot but do not allow to boil. 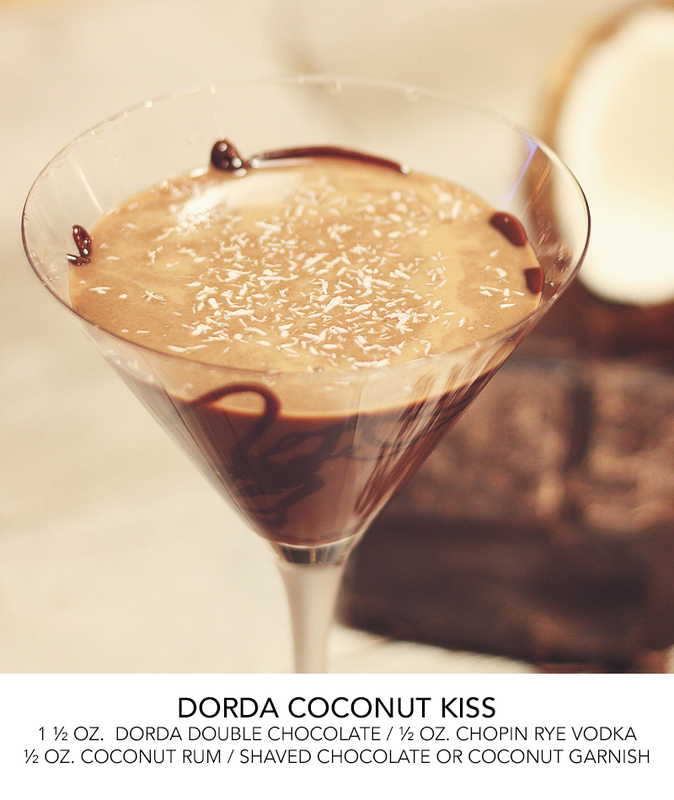 Remove from heat and stir in the Dorda Liqueur. 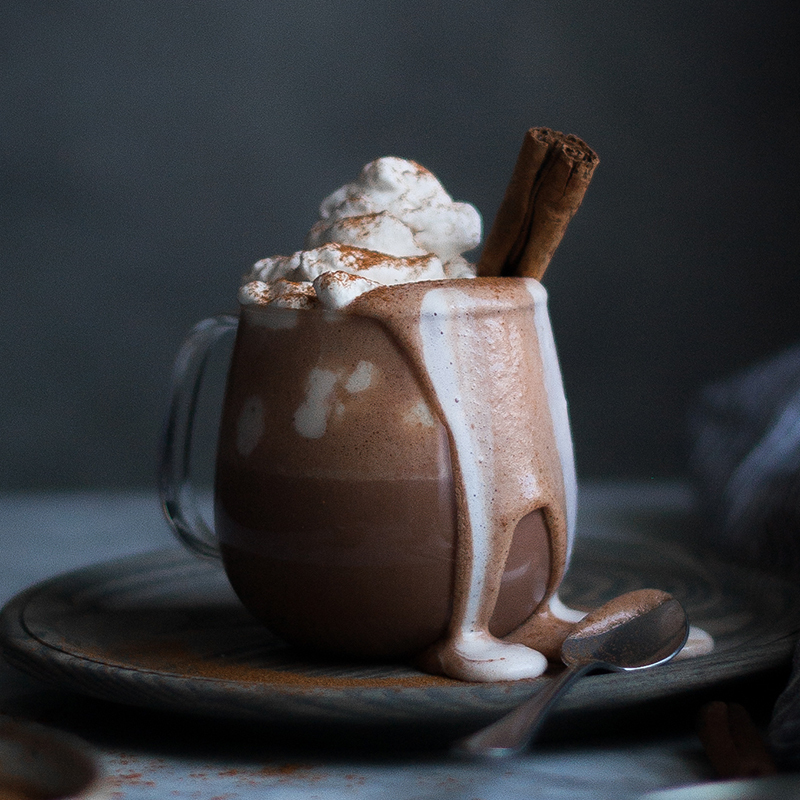 Serve with marshmallows or a dollop of unsweetened, chilled whipped cream. 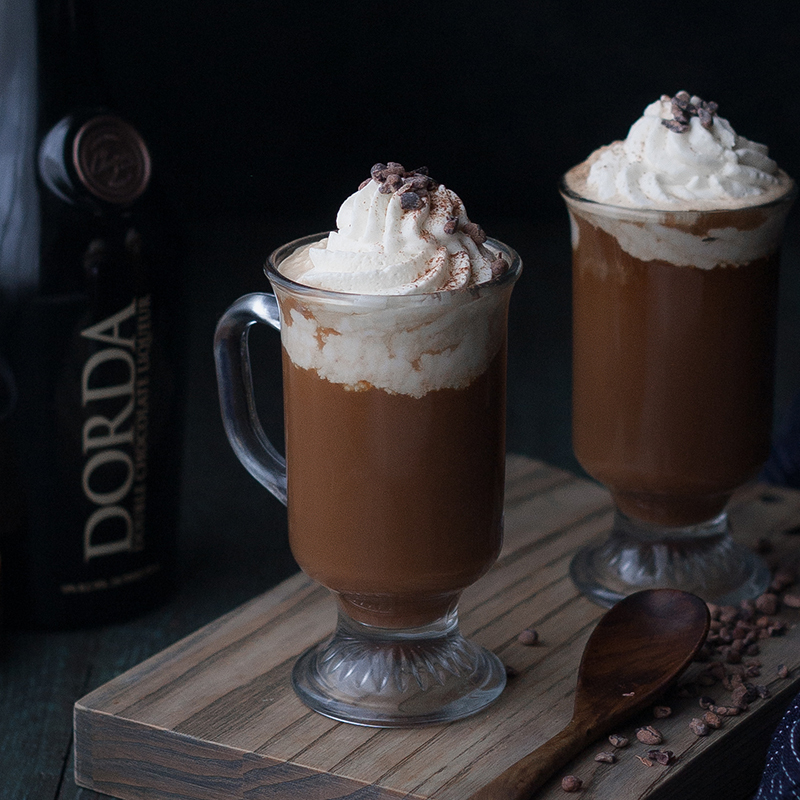 Stir freshly brewed hot coffee together with Dorda Double Chocolate Liqueur in a glass mug. Top with freshly whipped cream. 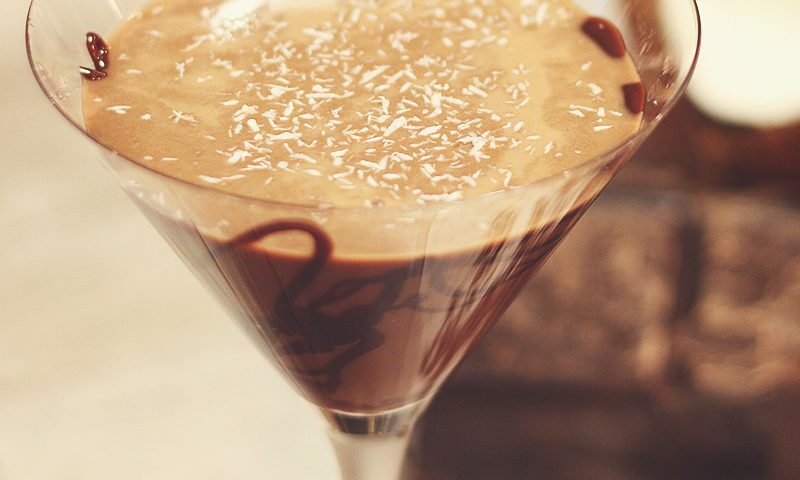 Add garnishes as desired; we like cacao nibs, chocolate-covered espresso beans or shaved chocolate. Add all ingredients to a cocktail shaker filled with ice and shake vigorously. Strain and pour into a chilled cocktail glass of your choice, over fresh ice. 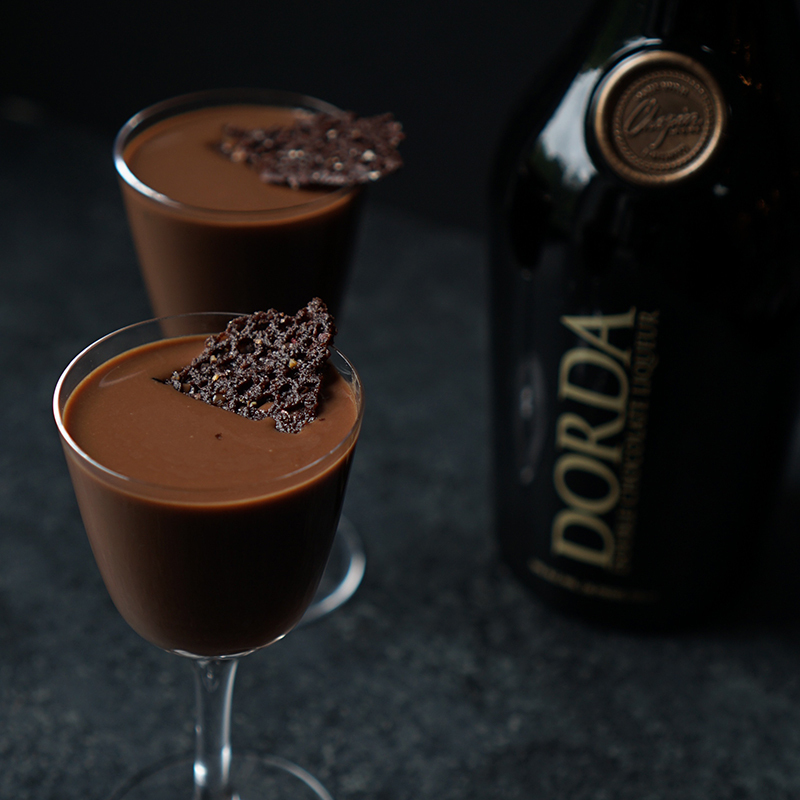 We believe Dorda is best enjoyed like a dessert. 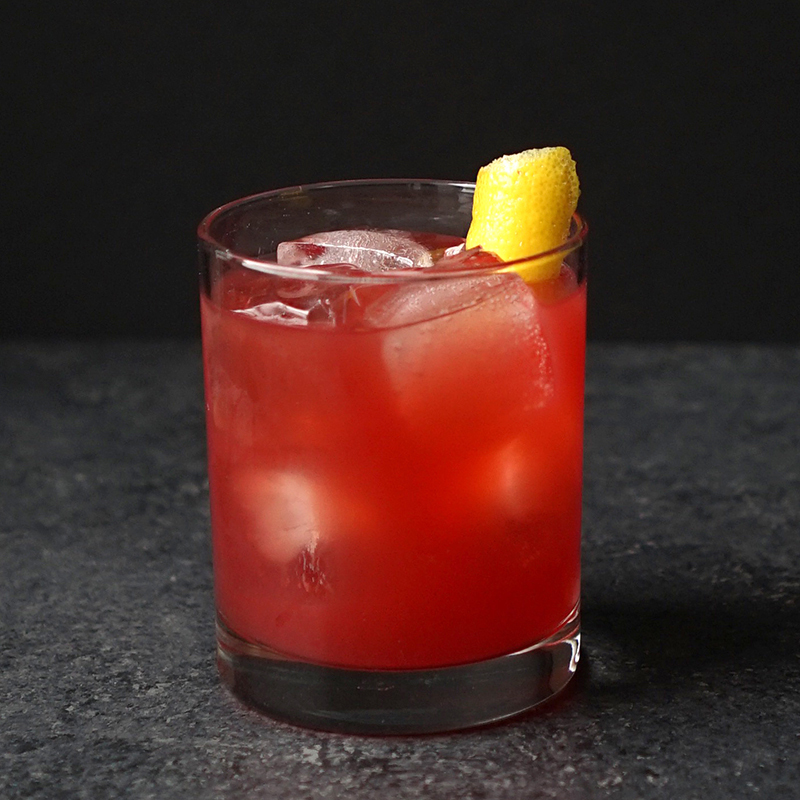 Serve it neat, or shaken with ice, in a stemmed glass. Garnish with a fresh raspberry. 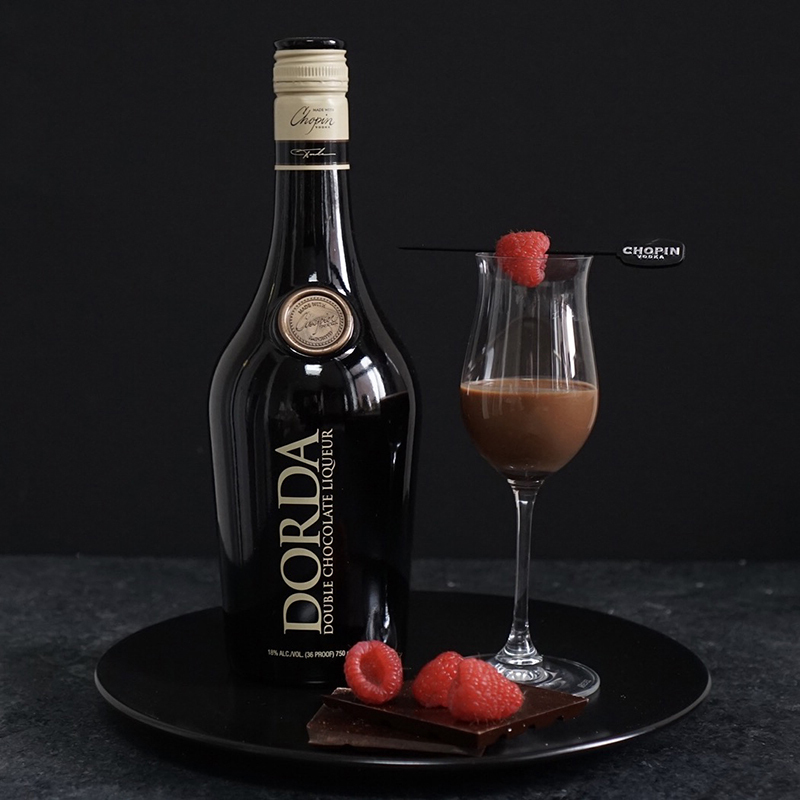 Dorda Double Chocolate Liqueur is made with real chocolate, so always shake well before serving and store it at room temperature. 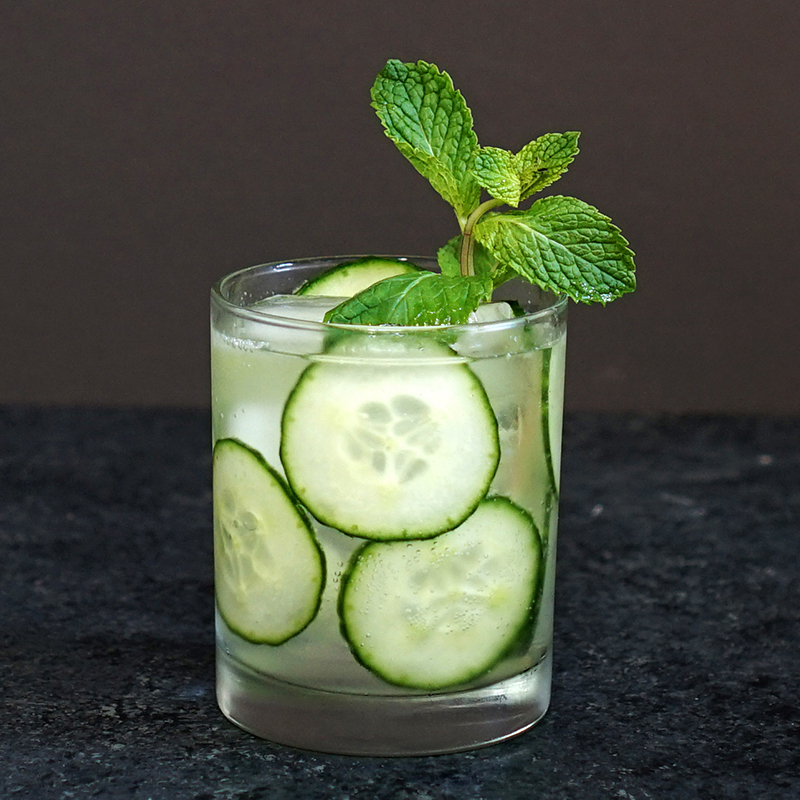 Muddle cucumber in a mixing glass. Add mint, muddle gently. Add vodka, lime juice, simple syrup and ice. Shake well, strain into a highball glass. Top with sparkling water. 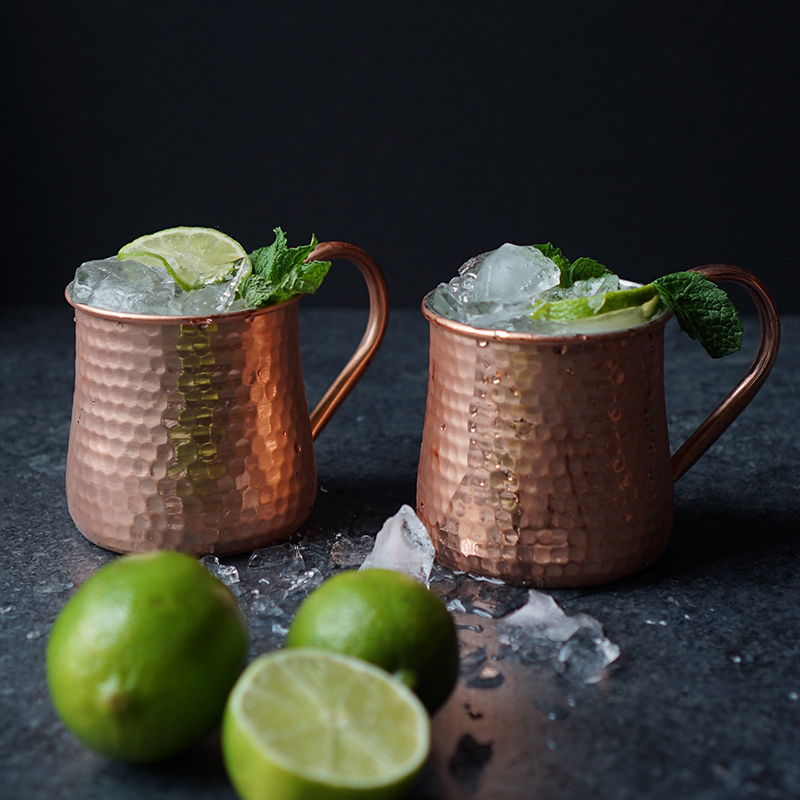 In a cocktail shaker ¾ filled with ice, combine vodka and lime juice and shake until chilled, about 15 seconds. Strain into a copper mug, filled with crushed ice. Top with ginger beer. 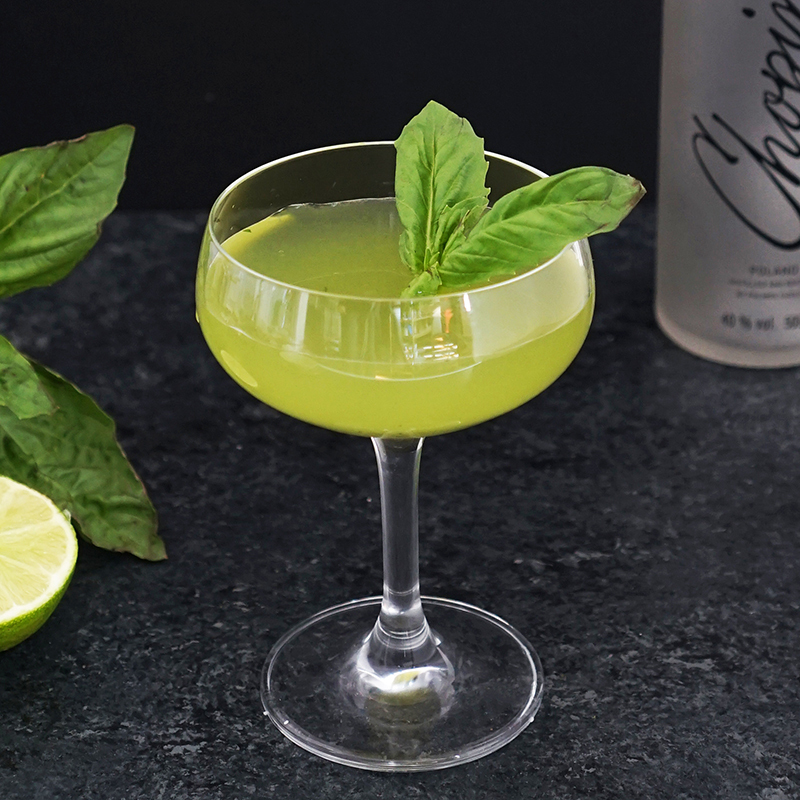 Garnish with lime and mint. Pour Chopin Wheat over ice into a rocks glass. Garnish with cucumbers. Muddle basil, lime juice, lime zest, and simple syrup in a cocktail shaker. Let sit for 5 minutes to allow the liquid to infuse with the basil flavor. Add the vodka, then fill the shaker ²/₃ with ice. Cover and shake vigorously for 30 seconds. 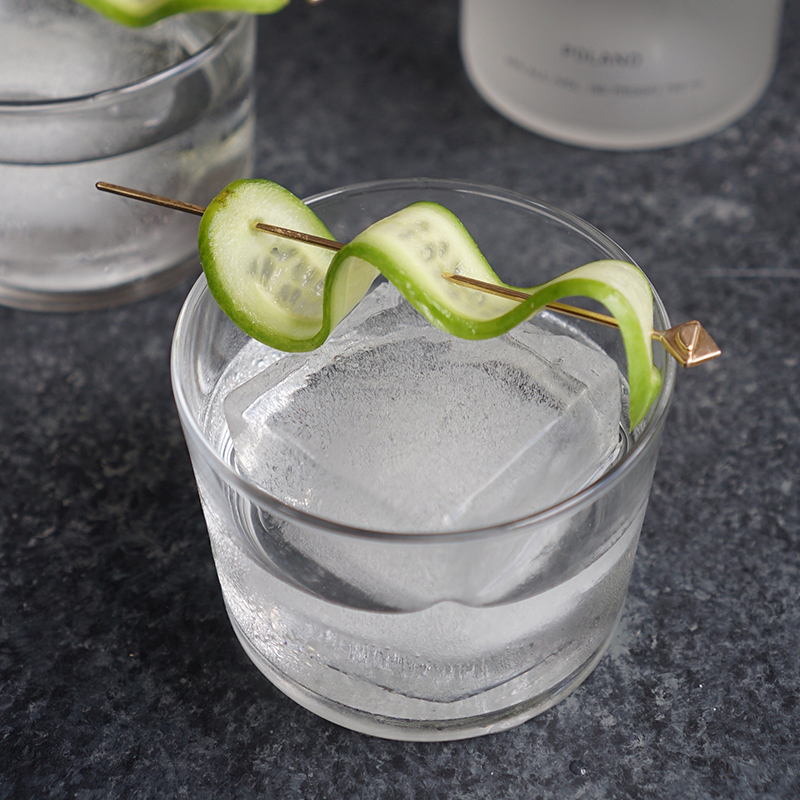 Strain into a chilled cocktail glass and garnish. Combine all ingredients in an ice-filled shaker, shake vigorously, strain into rocks glass over ice. Garnish with grapefruit slice. Fill a Collins glass with ice. 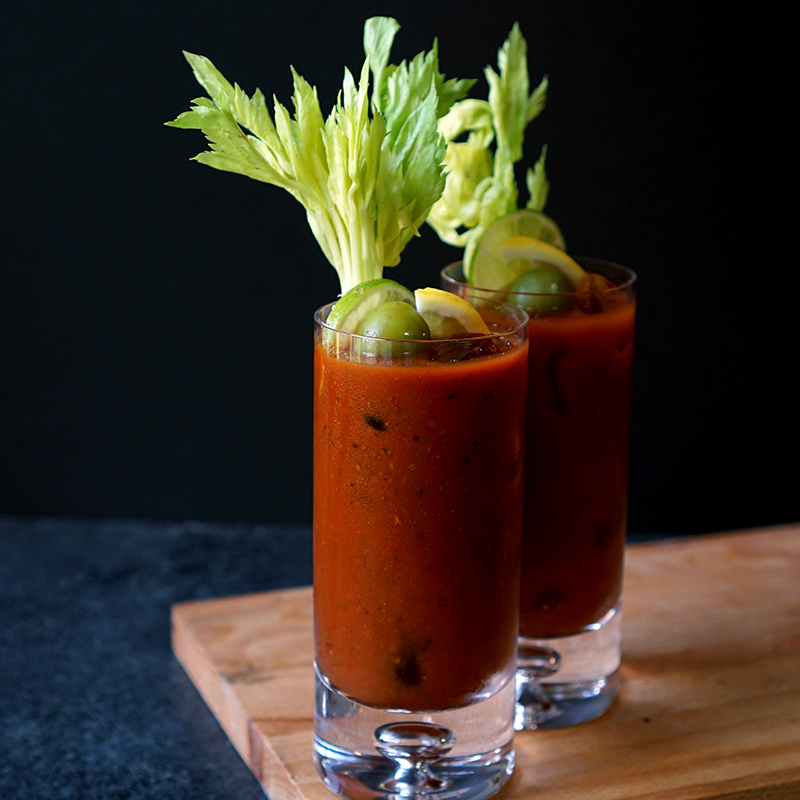 Pour Chopin Rye then Bloody Mary mix into glass. Stir then finish with fresh cracked pepper and garnish to your taste. Pour Chopin Rye over ice into a rocks glass. Garnish with pepper-stuffed olives. 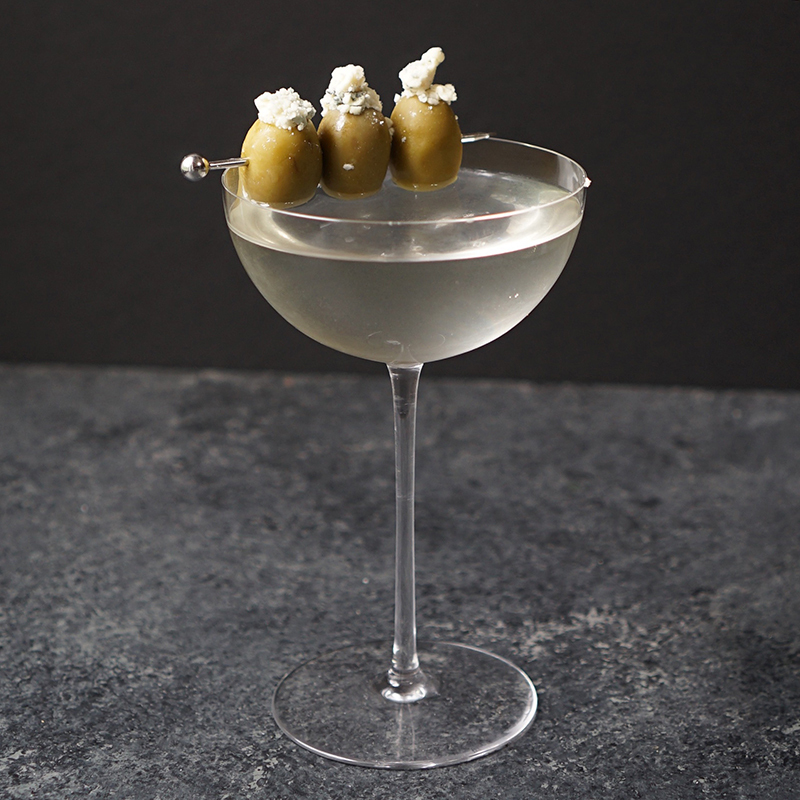 Fill a mixing glass ¾ with ice, add Chopin, vermouth, and olive juice. Using a bar spoon, stir for 30 seconds. Strain the martini into a chilled cocktail glass. Finish with a few drops of olive oil. 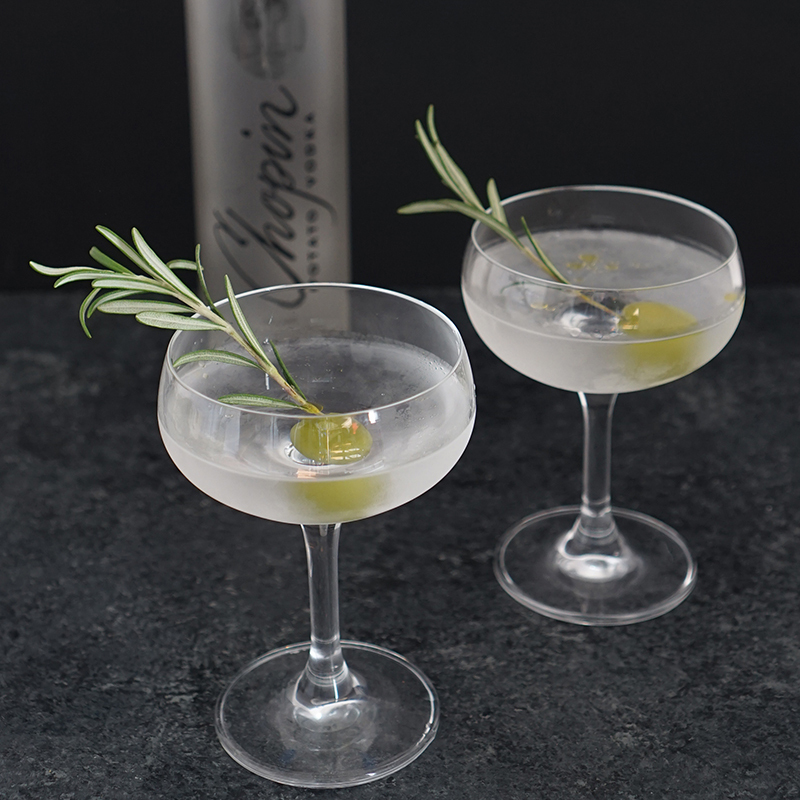 Garnish with rosemary sprig and olive. Add all the ingredients to a mixing glass filled with ice. 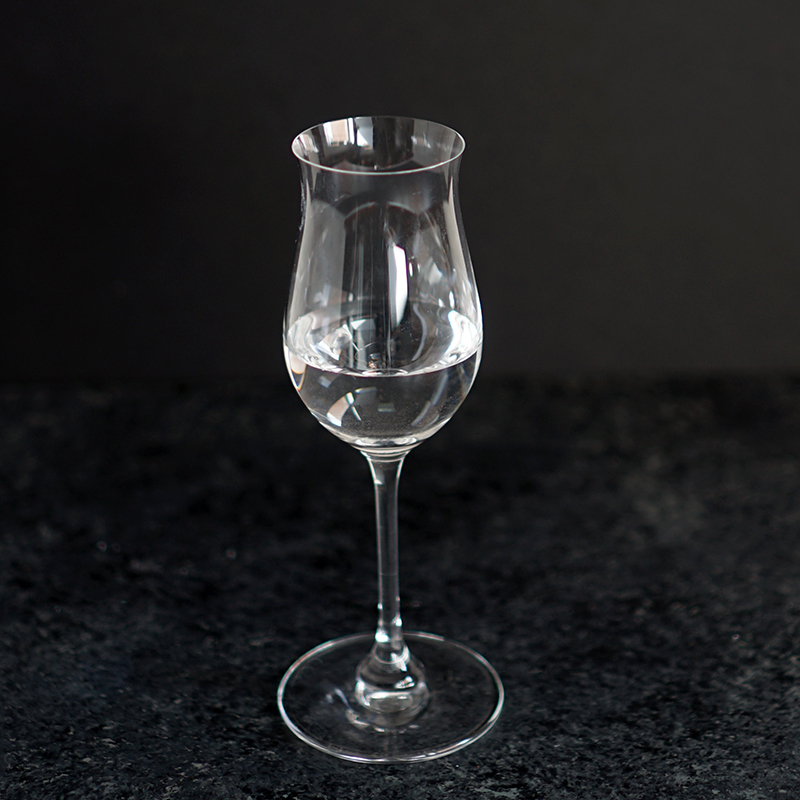 Stir, and strain into a chilled cocktail glass. 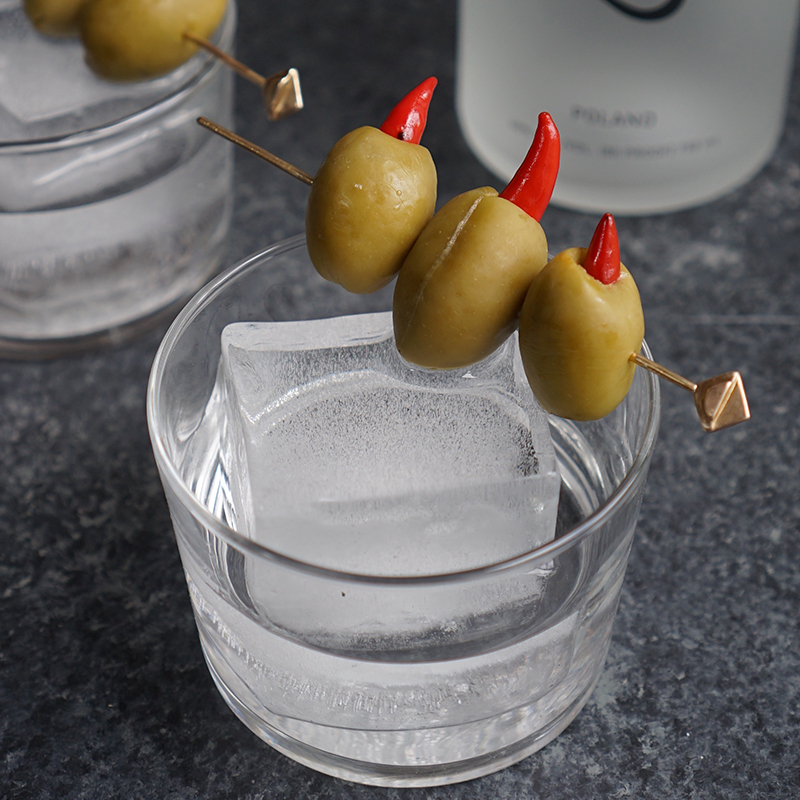 Garnish with three olives. Pour Chopin Potato over ice into a rocks glass. 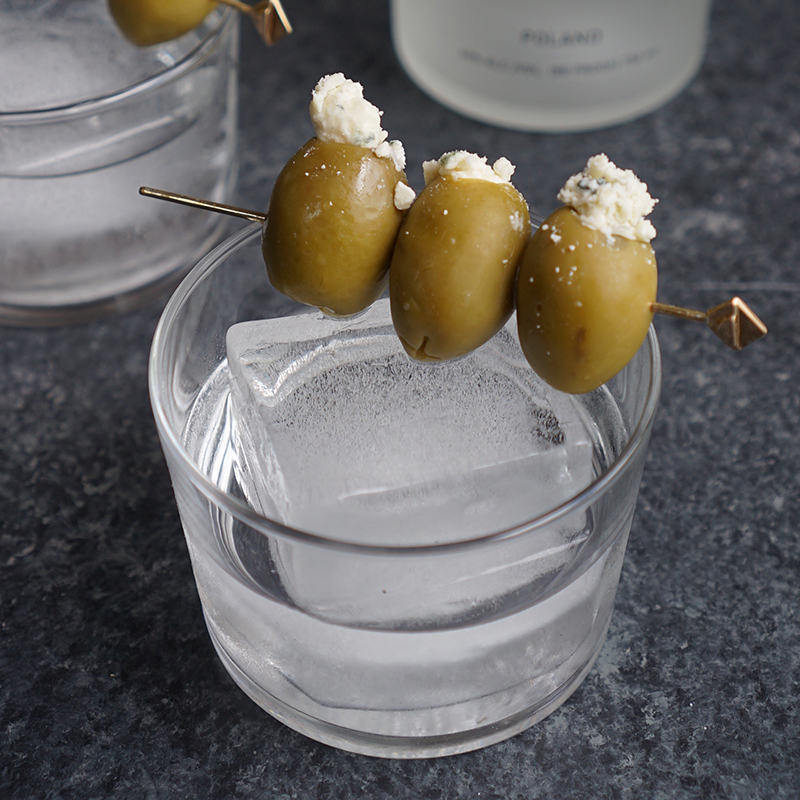 Garnish with bleu cheese olives. 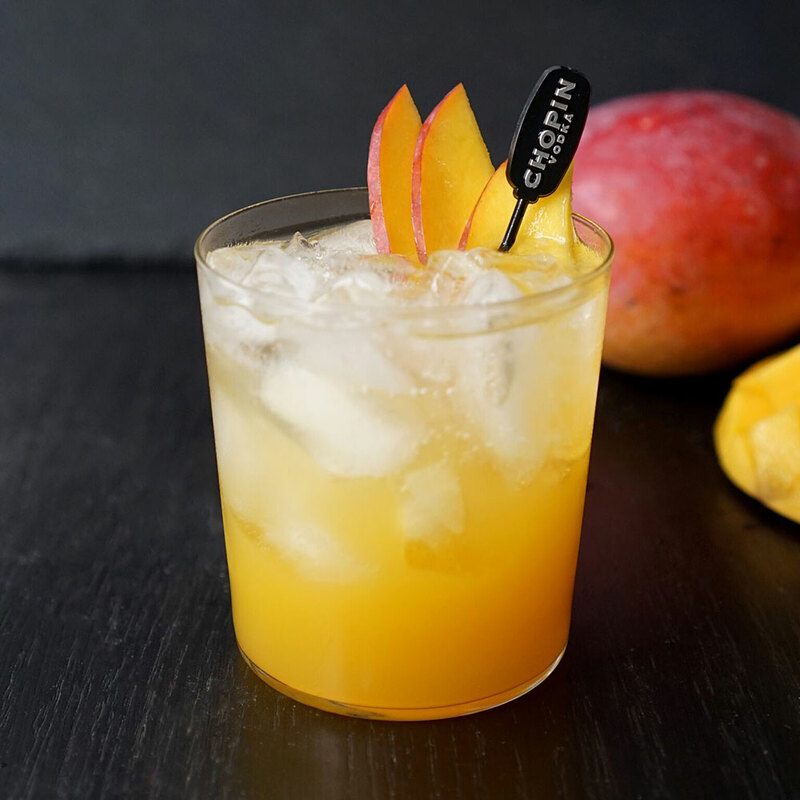 To fully experience Chopin Potato’s nuanced flavors, it is best served neat in a stemmed snifter glass.